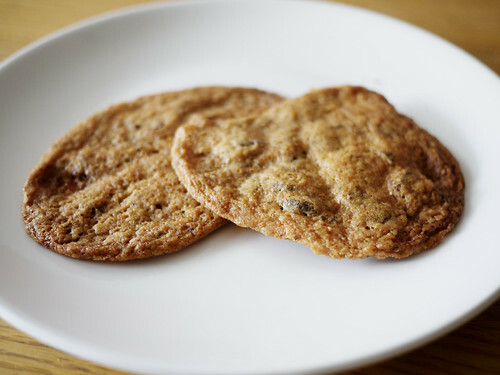 We love the crispiness and the Tate's-like quality of the cookies made at Nolita Mart. However, they tasted a little funny today. Maybe a little like butter that tastes of the refrigerator. I guess that is the downfall of butter, an otherwise most perfect creation by man, that it is susceptible to absorbing the odors of what keeps it from spoiling.